Cover of Beth Sholom Synagogue: Frank Lloyd Wright and Modern Religious Architecture, Joseph Michael Siry, 2012. Photo: Balthazar Korab. 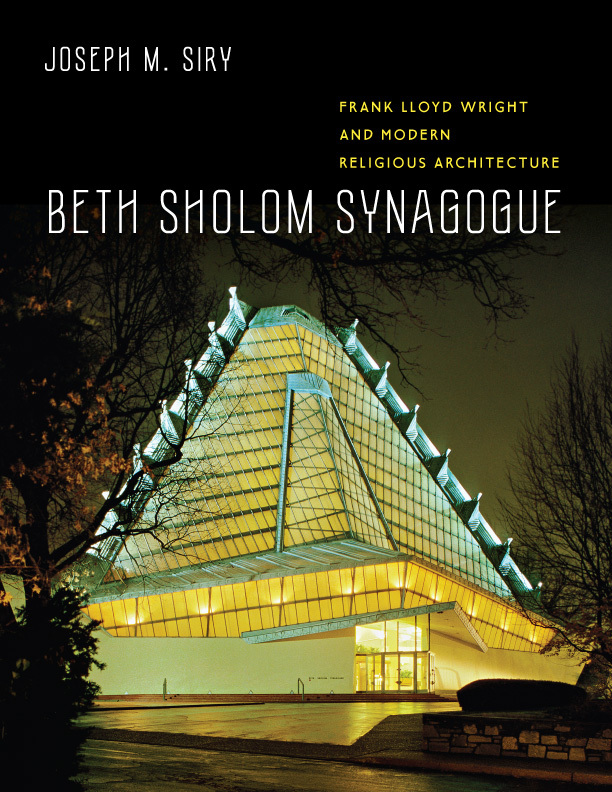 Beth Sholom Synagogue provides the first in-depth look at the synagogue’s conception and realization in relation to Wright’s other religious architecture. 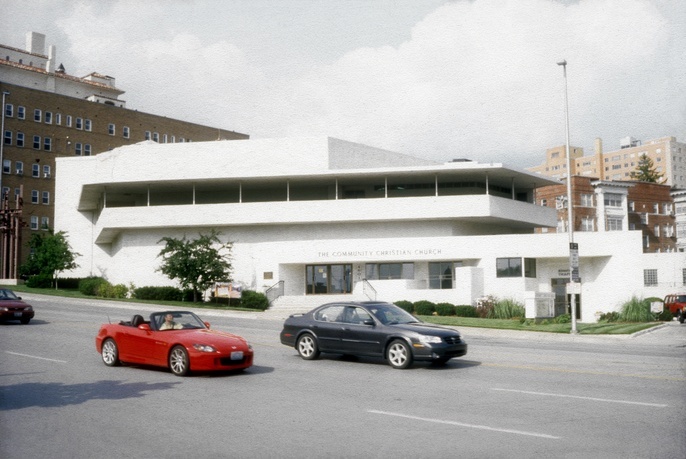 Beginning with Wright’s early career at Adler and Sullivan’s architectural firm in Chicago and ending with the larger works completed just before or soon after his death, Joseph M. Siry skillfully depicts Wright’s exploration of geometric forms and structural techniques in creating architecture for worshipping communities. 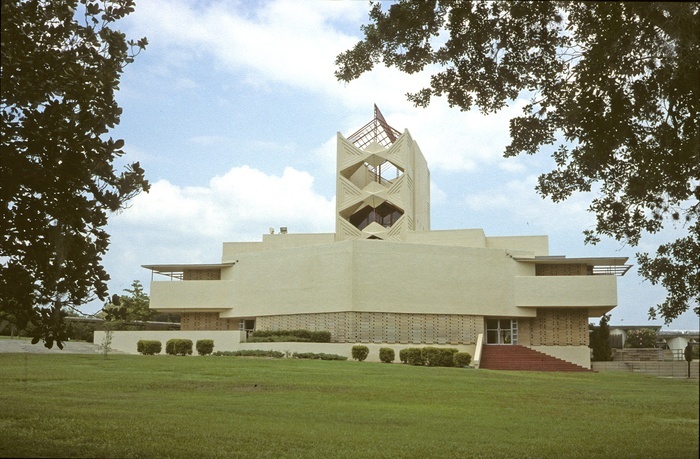 Siry also examines Wright’s engagement with his clients, whose priorities stemmed from their denominational identities, and the effect this had on his designs—his client for Beth Sholom, Rabbi Mortimer Cohen, worked with Wright to anchor the building in the traditions of Judaism even as it symbolized the faith’s continuing life in postwar America. 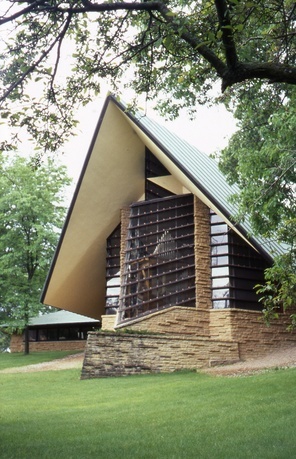 With each of his religious projects, Wright considered questions of social history and cultural identity as he advanced his program for an expressive, modern American architecture. 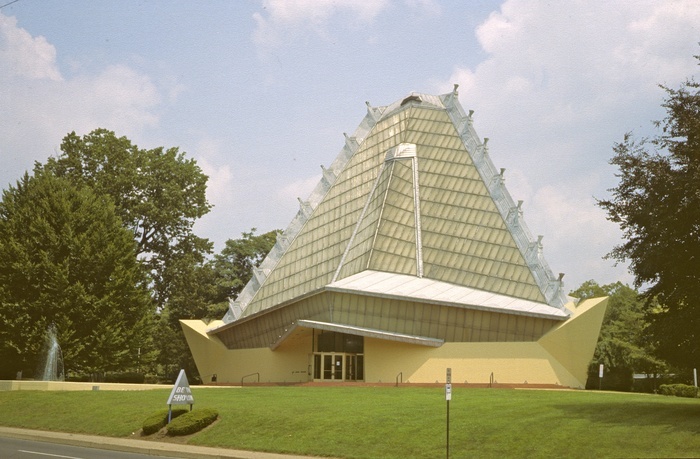 His search to combine these agendas culminated in Beth Sholom, where the interplay of light, form, and space create a stunning and inspiring place of worship. Joseph Michael Siry, an architectural historian, has been named the William R. Kenan, Jr., Professor of the Humanities, in the Department of Art and Art History at Wesleyan University, where he has taught for twenty-eight years, focusing mainly on the history of modern architecture. He received Wesleyan's Binswanger Award for Teaching Excellence in 1994. He has published numerous, full-length scholarly articles (including seven in the Journal of the Society of Architectural Historians and two in the Art Bulletin) on the works of Adler and Sullivan, Louis Sullivan, and Frank Lloyd Wright. His previous books are Carson Pirie Scott: Louis Sullivan and the Chicago Department Store (University of Chicago Press, 1988); Unity Temple: Frank Lloyd Wright and Architecture for Liberal Religion (Cambridge University Press, 1996); and The Chicago Auditorium Building: Adler and Sullivan's Architecture and the City (University of Chicago Press, 2002), which won the Alice Davis Hitchcock Award in 2003 from the Society of Architectural Historians for the most outstanding book by a North American-scholar published in 2002.